US campaigners for improved shareholder rights may well be sceptical of a new set of corporate governance principles for public companies being hammered out by the country’s largest asset managers. The group convened by JPMorgan Chase chief executive Jamie Dimon and investment guru Warren Buffett to work on the project are among the least likely to vote against management in contentious shareholder votes, according to analyses by the AFL-CIO, a federation of unions. The Financial Times revealed on Monday that the heads of BlackRock, Fidelity, Capital Group, T Rowe Price, Vanguard and other asset managers had met to discuss ways to encourage longer-term investment and reduce friction between companies and shareholders. Discussions at the secret summits have centred on the role of board directors, executive pay, board tenure and shareholder rights, all of which have been flashpoints at US annual meetings. The aim is to produce a list of best practices that the firms will support at the companies in which they invest, although is unclear how detailed the proposals will be given significant policy differences between the participants. Because of their size, the asset management firms involved are typically among the largest shareholders at US public companies, but the AFL-CIO rated them all in the “bottom tier” of institutional investors when it came to supporting shareholder proposals at annual meetings. The organisation’s “key vote survey” of 29 large company meetings in 2015 examined proposals to split the roles of chairman and chief executive, curb executive compensation, give shareholders greater say in board appointments and improve disclosures around lobbying and human rights. T Rowe Price supported the selected proposals 41 per cent of the time, but Vanguard and Capital Group’s American Funds voted in favour less than 20 per cent of the time. Fidelity lent its support to just 10 per cent of the votes. John Chevedden, one of the most prolific sponsors of proposals at US corporate meetings, says the large mutual fund complexes have never been in the forefront of improvements to shareholder rights. Any governance principles that emerge from a consensus of the large managers are likely to fall short of those typically supported by the powerful proxy advisory services ISS and Glass Lewis, which offer voting recommendations to pension funds and other investors lacking resources to make assessments of their own. In recent years, the two services have become more aggressive at pushing for greater shareholder rights and then opposing the re-election of boards of directors that ignore shareholder votes. Attorneys defending companies against attacks from activist hedge funds often complain that they side with the hedge funds, with the result that companies are pushed into moves, such as disposals or share buybacks, that come at the expense of long-term investors. Disagreements abound, however, about whether improving shareholder rights is associated with promoting short-termism or actually encourages firms to think about the long term, particularly if it means focusing on long-term environmental and reputational risks that are often on the agenda of governance campaigners. Georgina Marshall, head of global research at ISS, says the service’s recommendations are based on polling of a wide range of investors, including large asset managers and hedge funds and public pension funds, as well as companies themselves. Mr Dimon, who has criticised “lazy” shareholders who follow ISS and Glass Lewis recommendations, has had his own run-ins with the proxy advisory services, which opposed his holding both the chairman and chief executive roles at JPMorgan Chase. 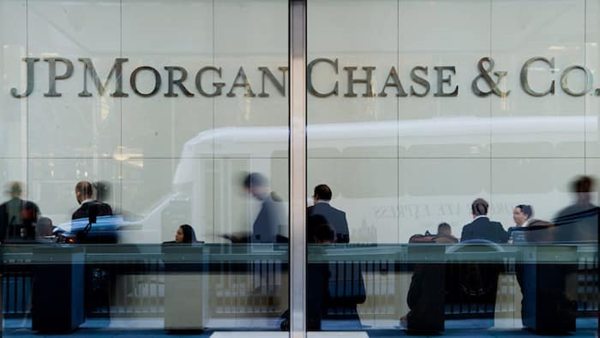 JPMorgan, whose business includes an asset management arm with $1.7tn in assets, has declined to comment on the governance initiative, as have the participants. The Dimon-led effort has been welcomed by others in the governance world. Howard Sherman, executive director of environmental, social and governance research at MSCI, says it reflected asset managers’ awareness of the impact these factors can have on “the risk-return profile” of their investee companies. And Gary Hewitt, director of governance research at Sustainalytics, says: “Limiting shareholder rights has been tempting, but really isn’t the route to long-termism; rather, long-termism comes when investors with longer time horizons take a more explicit and active stand on long-term value creation at their companies”.